As a 501c3 non-profit arts organization, public support is crucial to our continued success. If you have an interest in being a part of our fundraising committee, please contact us for information on how to get involved. Thank you for your interest! Your support is needed to continue moving our mission forward. We can't do it alone. You may make a donation in any amount at any time. Click here to make a donation via credit card. To make a donation by mail, send to: Integrity: Arts & Culture Association, P.O. Box 6491, Rock Island, IL 61204-6491. Make checks and money orders payable to IACA. We also accept gently used and new gifts of value throughout the year for auction. Please contact us to make inquiry. We are a 501c3 non-profit organization. Donations are tax-deductible to the full extent of the law. We will provide you with a receipt for tax purpose. We sincerely appreciate your support! 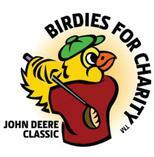 Integrity: Arts & Culture Association is currently participating in the John Deere Classic Birdies for Charity Fundraiser. This year, on June 25, 2018, we will have been in public service for 16 years! In honor and celebration, we ask that you please consider making a pledge or a flat dollar donation. In addition to supporting the IACA mission, you will receive the opportunity to win 1 of 150 great prizes, including a 2-year lease on a 2018 Lexus NX (courtesy of Lexus of the Quad Cities). YOU DO NOT HAVE TO BE PRESENT TO WIN! To enter the contest, simply guess the number of birdies that will actually be made by Tour Pros during the tournament. A large part of our mission is to encourage and support youth in their artistic endeavors. We reach out to those who are at-risk and underserved and provide educational opportunities and a venue for creativity. We also provide artistic, inspiring and educational programming throughout the year. Your support makes a difference in how much we are able to accomplish. Every pledge counts, no matter how small. We are a 501c3 non-profit arts organization and donations are tax-deductible to the full extent of the law. We receive 100% of every pledge collected during this fundraiser. Plus, the tournament donates an additional 5% - 10% (of our final total). This is a very impactful way to partner with us to serve others. Just click here to download and print a pledge form. Our bird number is 1048. Please make sure this and "IACA" are writtten on the form. Please return the pledge form to us no later than Monday, July 9, 2018. Mail to: IACA, Birdies for Charity, P.O. Box 6491, Rock Island, IL 61204-6491. If making a flat dollar donation, Birdies for Charity is asking that it be paid when sending in the pledge form. Please make checks or money orders payable to Quad City Golf Classic Charitable Foundation. If making a penny pledge, you will be billed by Birdies for Charity after July 13, 2018. Please feel free to contact us with any questions at admin@integrityaca.org. We truly appreciate your partnership. 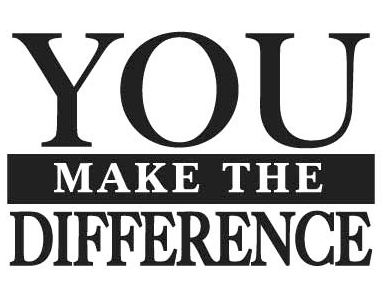 You make a wonderful difference. We've registered Integrity Arts and Culture Association (Rock Island - IL) with GoodSearch.com, a company that helps non-profits like ours raise funds through the everyday actions of our supporters. Every time you use a GoodSearch service, they donate approximately half of the revenue they make to the nonprofit you've designated. If you shop on Amazon, please use the following link and IACA will receive a 0.5% donation of eligible purchases: https://smile.amazon.com/ch/76-0702840. Please join our community on GoodSearch.com and help us raise money for our mission. Get started by clicking the dark blue "Become a Supporter" button on the right side of our profile page! as a member! For more information, click here.